MaltaIndependent 29/01/2014: Up to 85,000 English language students came to Malta last year, spending around €145 million collectively, Tourism Minister Karmenu Vella announced this morning. 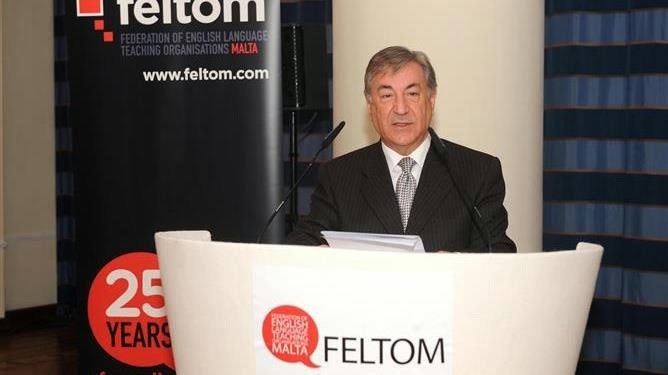 Speaking during the FELTOM annual general meeting Mr Vella said that the government is pledging its full support to this sector. Statistics show that one in eighteen tourists who visit Malta come to learn English. Malta is attracting an average of 82,000 English language students every year, amounting to 5.7% of the tourism sector. 2012 numbers had increased by 18.2% over the previous year. The majority of students are Italian, German and...read on.